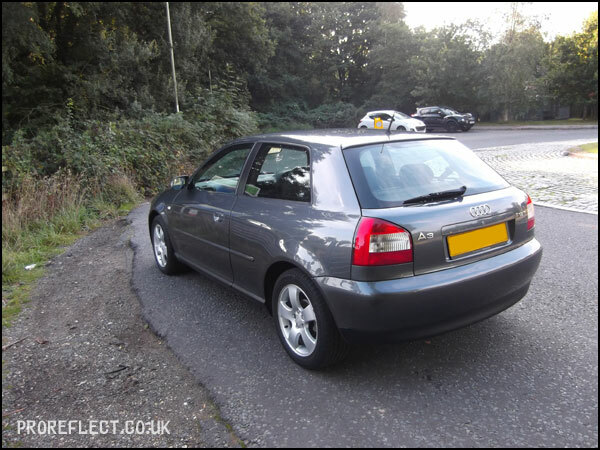 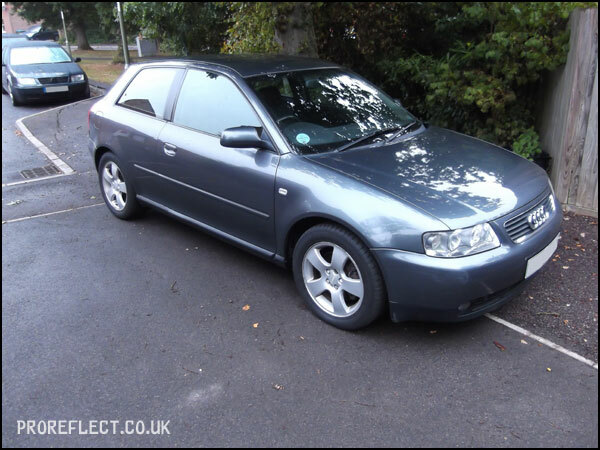 Purchased some 12 months ago, the owner of this Audi A3 1.8T – Dolphin Grey Metallic had always felt the paintwork lacked gloss. 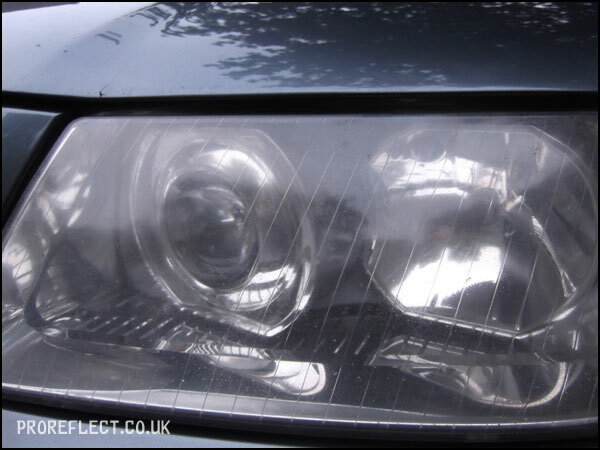 The Audi also had a headlight that had a slight discoloration. 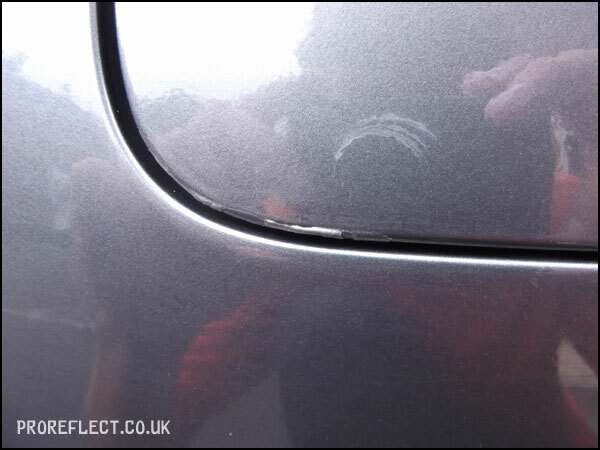 At the initial quote stage it was clear to see that the Audi had the usual swirl marks together with some scratches from the supermarket-washing-brigade and it was agreed that a Protection Detail with a Minor Paint Correction would restore gloss back into the paintwork. 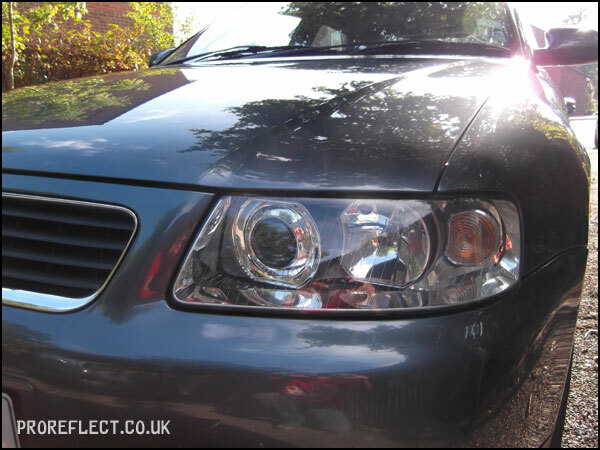 I would also take a look at the headlights at the same time with my Headlight Restoration service. 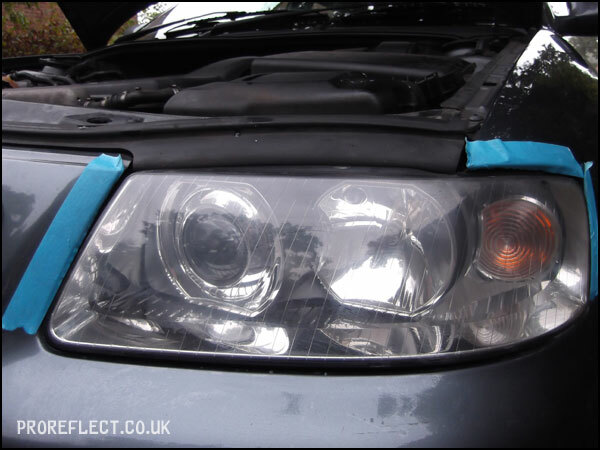 The passenger headlight was the worst out of the two. 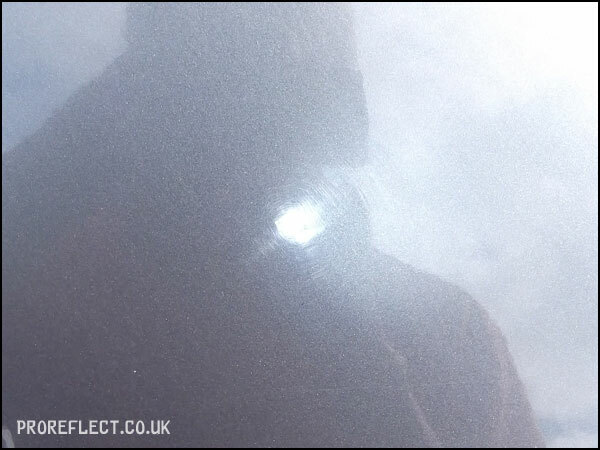 …and then a 3-stage machine polish to remove the sanding marks before protecting them with Gtechniq C4. 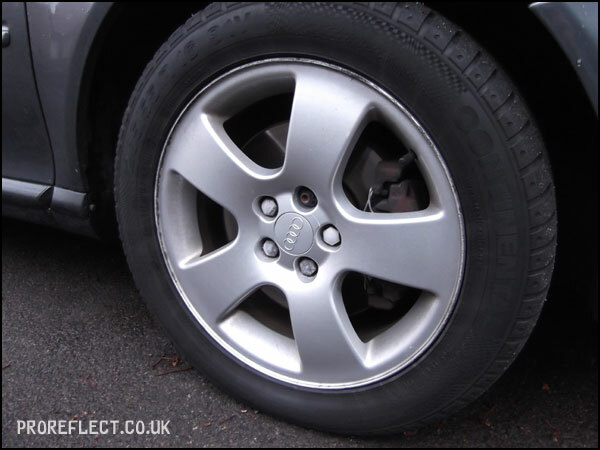 On to the wash routine, the wheels were cleaned with Bilberry Wheel Cleaner and various brushes. 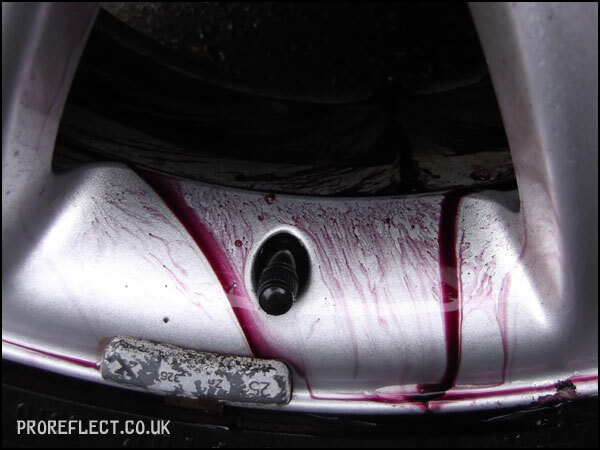 CarPro Iron-X and Tar-X was used to remove iron content and tar spots. 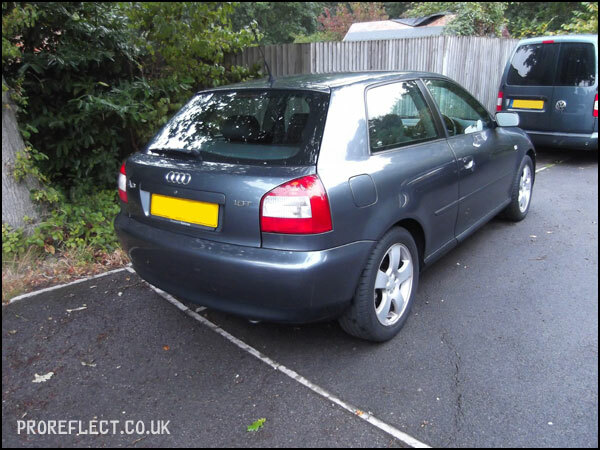 The Audi was then given a Citrus Pre Wash to safely remove or breakdown the dirt prior to washing. 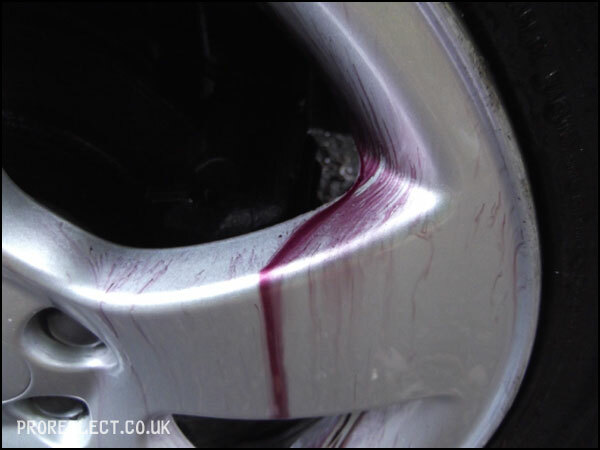 This was rinsed prior to washing using the usual two bucket method and Chemical Guys Strong Wash to remove existing polishes and waxes. 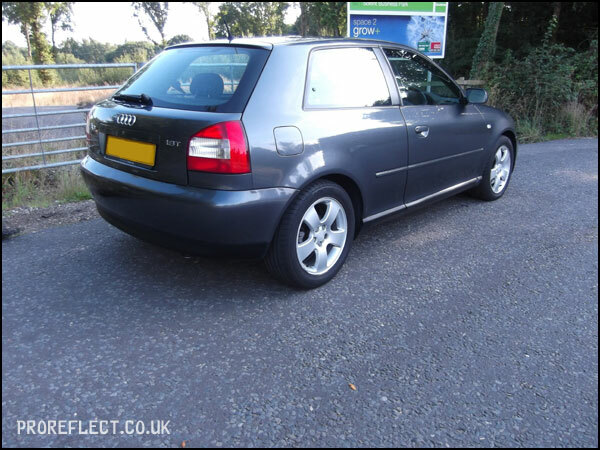 The Audi was then clayed to remove any bonded contaminants with the help of CarPro Tar-X to shift stubborn tar spots. 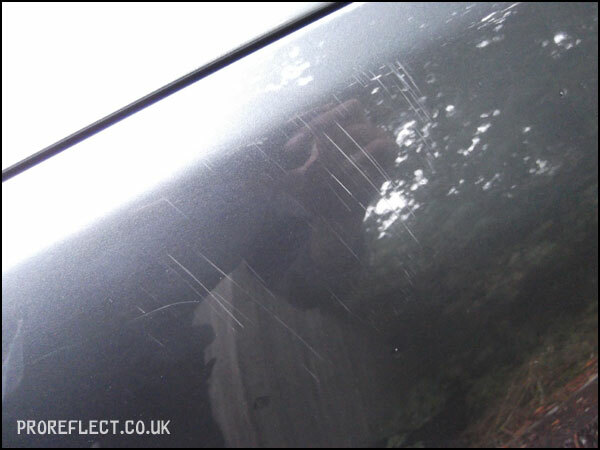 After the wash routine, every panel was inspected closely with a Lenser P7 and paint depth readings taken. 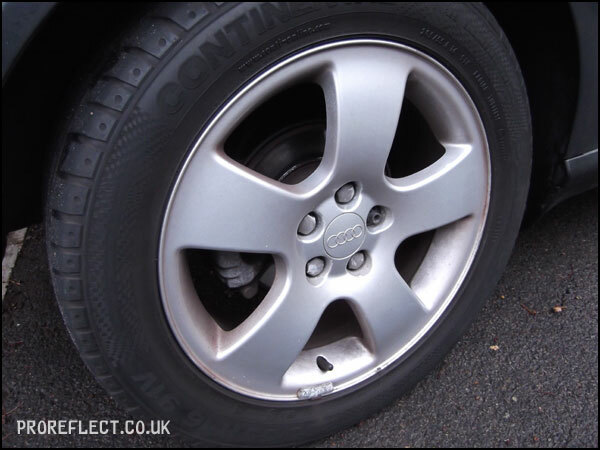 It became very clear that all was not as it seemed. 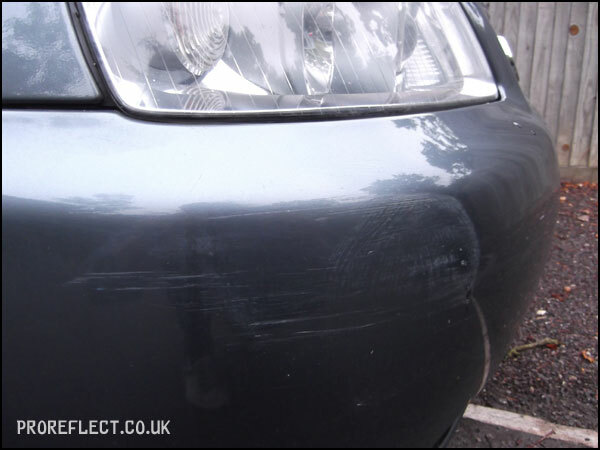 The conclusion was simple, the Audi had visited a bodyshop in recent years but the level of work was far from satisfactory. 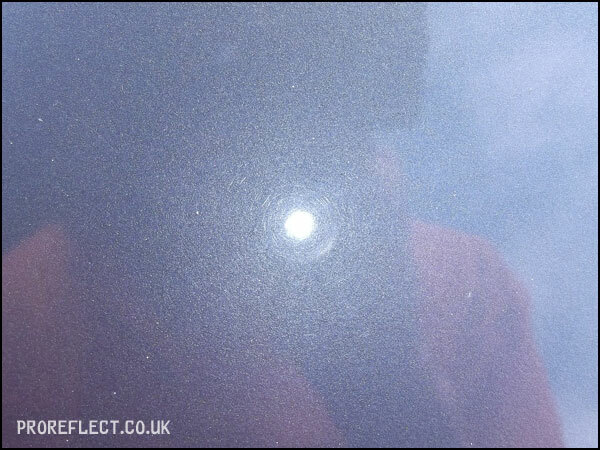 Within the decontamination stage earlier I had noticed that there were some tar spots and other particles trapped underneath the clearcoat. 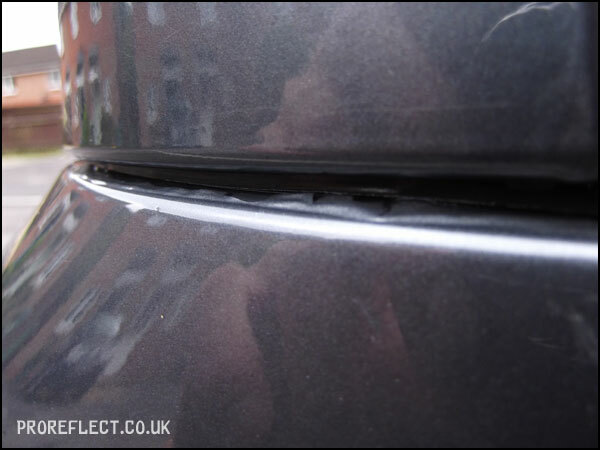 As I moved around the Audi, it was clear to see the poor level of workmanship. 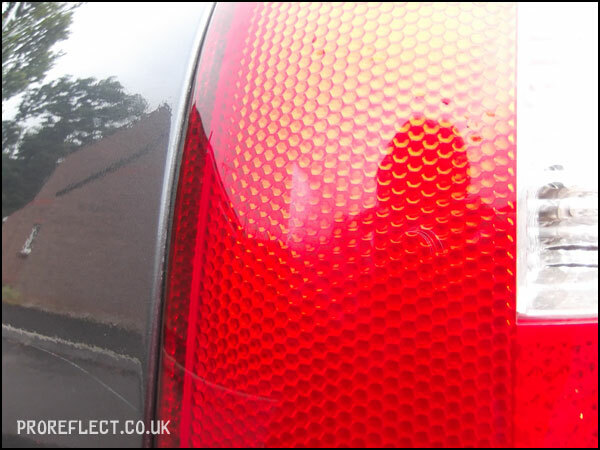 There was over spray everywhere, from the window rubbers to the rear lights. 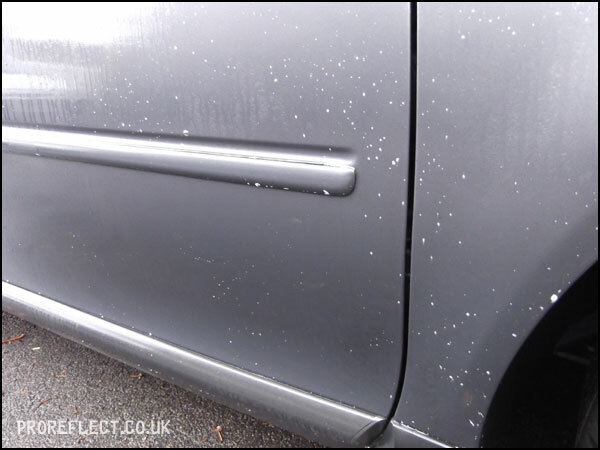 There was plenty of sanding marks and general poor after care from whoever sprayed the vehicle. 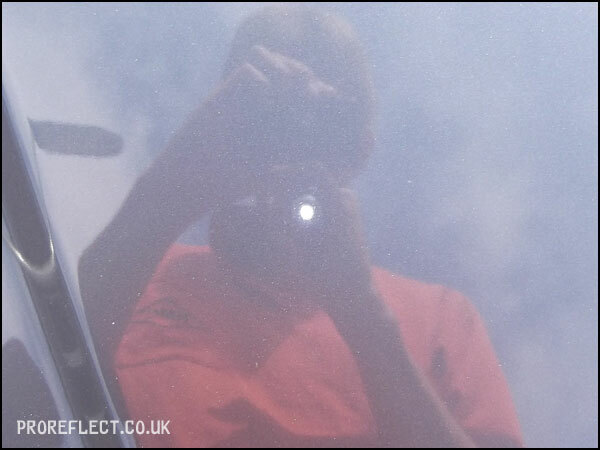 As this was only a Minor Paint Correction, time did not allow for a complete correction to take place. 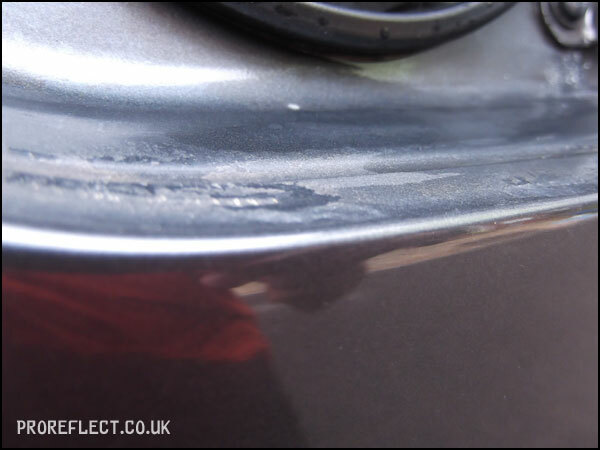 Plus the client was only really looking for gloss and therefore Scholl S17+ on a Hex-logic Orange Pad was used to remove the swirls and fine scratches. 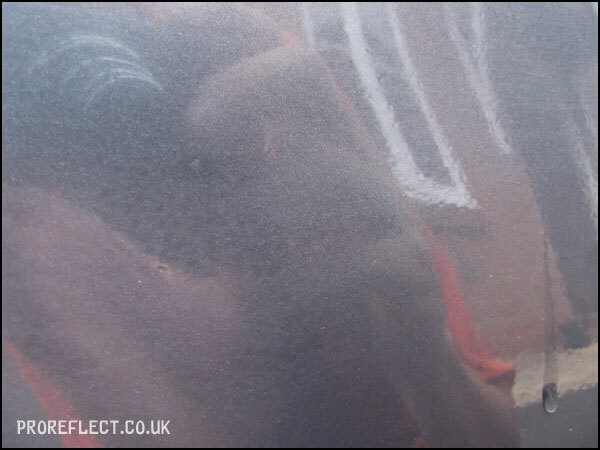 The paint actually had a lot of embedded dirt within it that was stealing the gloss and numerous pad changes had to take place to make sure the pad kept clean. 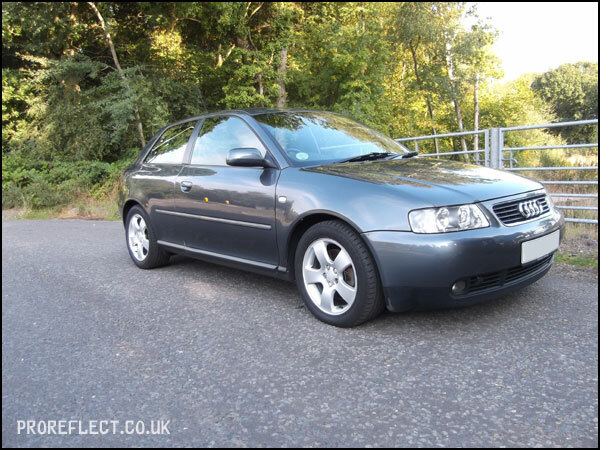 Not many photos taken during the correction stage but overall looking a lot better. 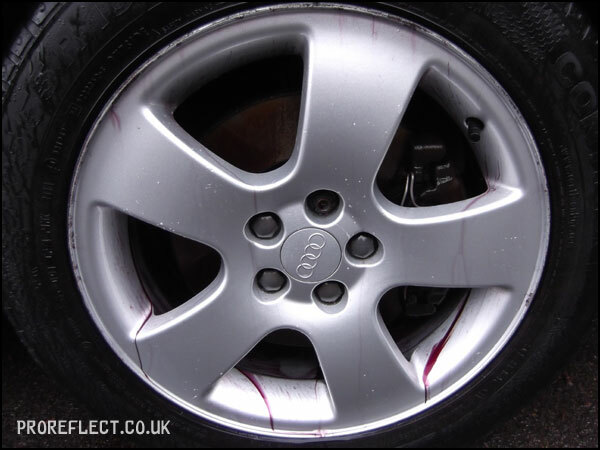 After machining was complete, the Audi was then given a rinse to remove any dusting, before given a further wipe down with CarPro Eraser. 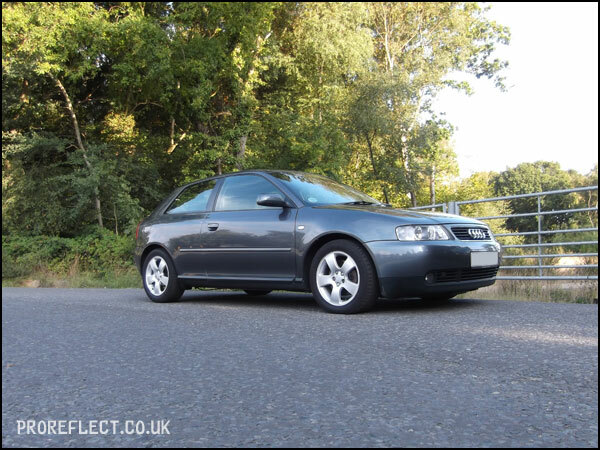 The Audi was then given a layer of Gtechniq C2V3 to enhance the now glossy paintwork and give it protection from the elements. 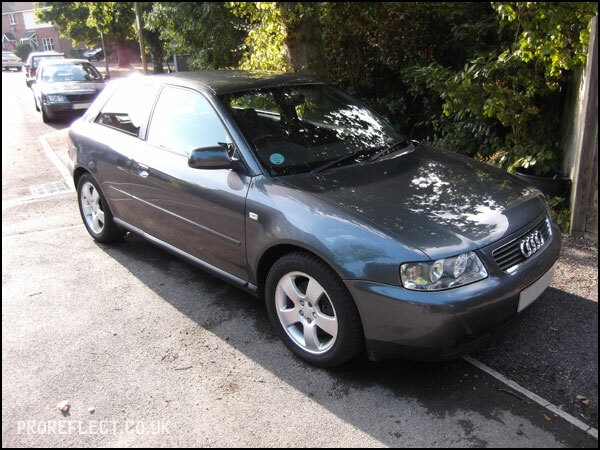 Inside was given a good hoover and all plastics cleaned with Meguiars All Purpose Cleaner. 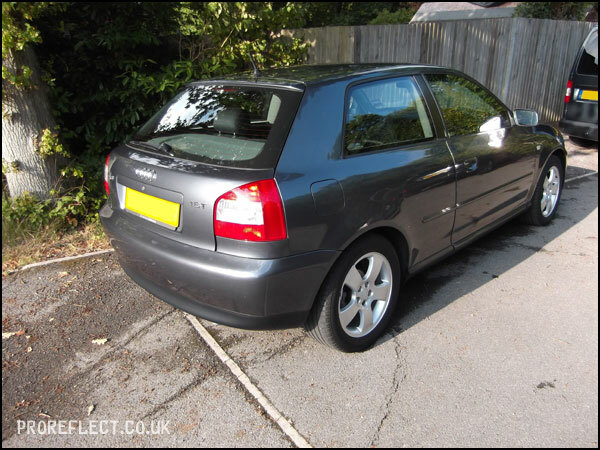 All glass was cleaned inside and out with Autoglym Fast Glass. 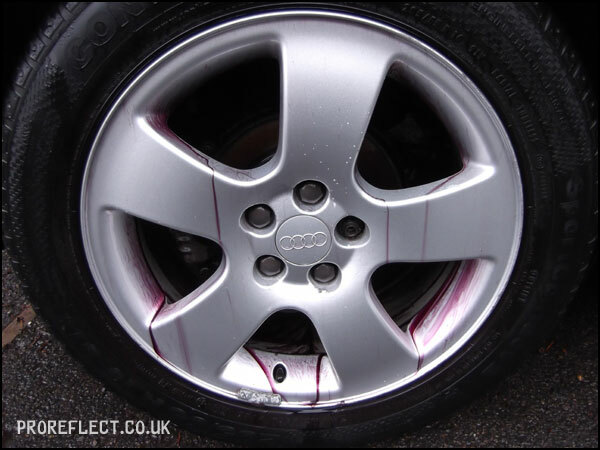 100% correction was never on the cards with this Audi and realistically it would be fair to say that 100% correction might not even be possible. 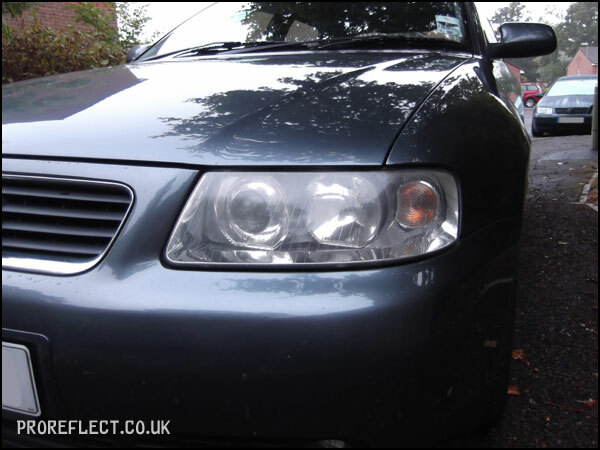 That said the Audi’s paintwork is now looking a lot better following the Minor Correction restoring the once lost gloss that it so deserved. 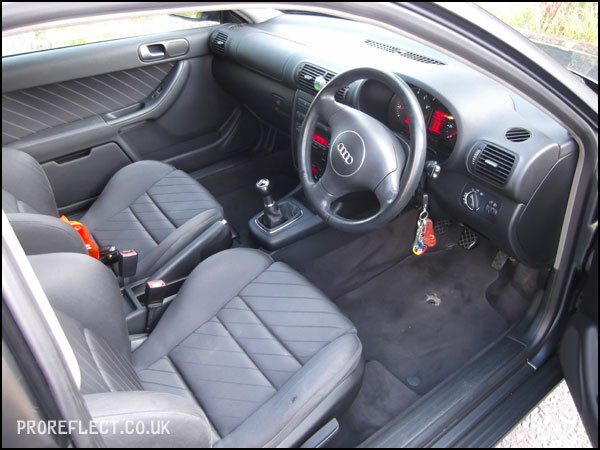 Future cleaning and maintaining will be a breeze for the current owner.